Jim Swigert directs the National Democratic Institute's programs in Latin America and the Caribbean. 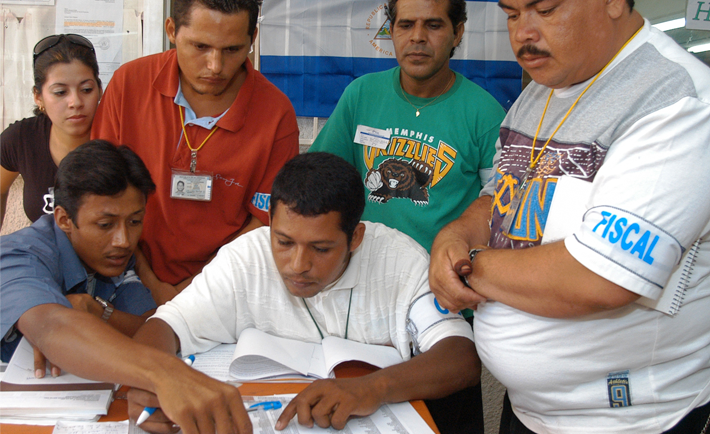 Poll monitors oversee the 2006 Nicaraguan elections. Advances and reversals generally mark the trajectory of democratic development. 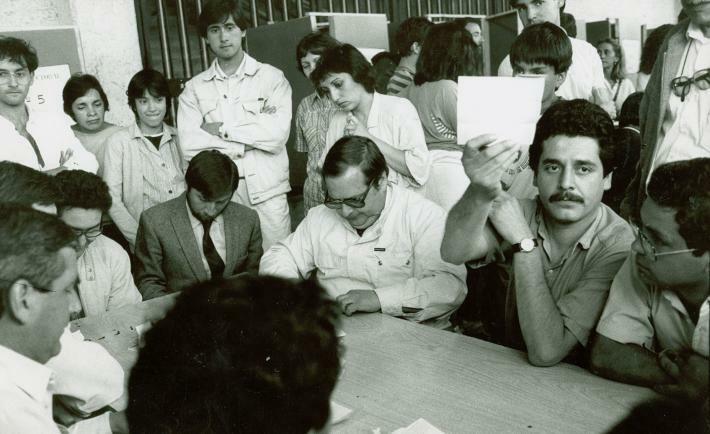 But in the political history of Nicaragua over the last decade, there have been only reversals with next year’s elections likely to see the continued erosion of Nicaraguan democracy and consolidation of power by President Daniel Ortega and his Sandinista National Liberation Front (Frente Sandinista de Liberación Nacional - FSLN). But there are voices advocating for greater pluralism. Opposition political parties are small but vocal, and different elements of civil society have advocated for democratic reforms. While their efforts have not yet yielded results, the Nicaraguan government still has the opportunity to move toward greater transparency in the polls before next year's presidential elections. The seventh Summit of the Americas will take place in Panama City on April 10. Unlike other summits, Panama 2015 will provide a structured opportunity for civil society leaders throughout the region, including independent voices from Cuba, to engage the assembled government leaders. Representatives of civic organizations and individual social actors who wish to attend need to register now on an Organization of American States website.